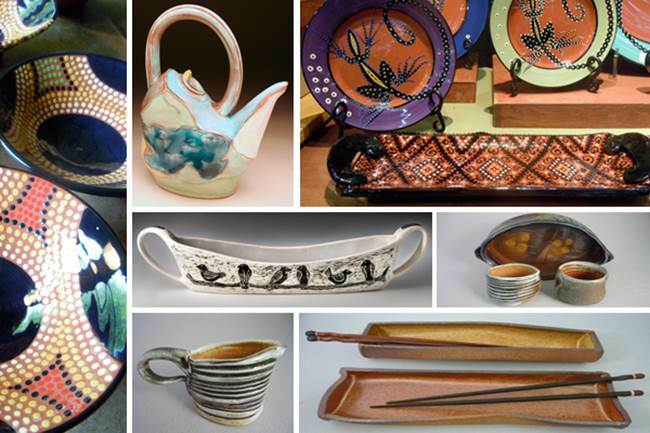 We’re getting excited about the Annual Our Town Pottery Holiday Show & Sale! This year, Michael and Jeani of Our Town Pottery are bringing some of their potter friends along to exhibit and sell their works as well. From show pieces to everyday pots and dishes, there will be something for even that hard-to-buy-for person on your holiday shopping list. This year’s guest exhibitors include potters Marilyn Perry, Javier Cervantes, Barb Campbell and Kathryn Finnerty. Stop by our Visitor Center to see the pottery and be sure to grab a complimentary glass of wine with a few tasty bites to fortify you for the rest of your day in wine country. This entry was posted on October 28, 2014 at 5:35 am and filed under pottery,Uncategorized. You can follow any responses to this entry through the RSS feed.